July 23-25, 2018 Starts at 5 p.m. The Westin Fort Lauderdale Beach Resort 321 N. Fort Lauderdale Beach Blvd. 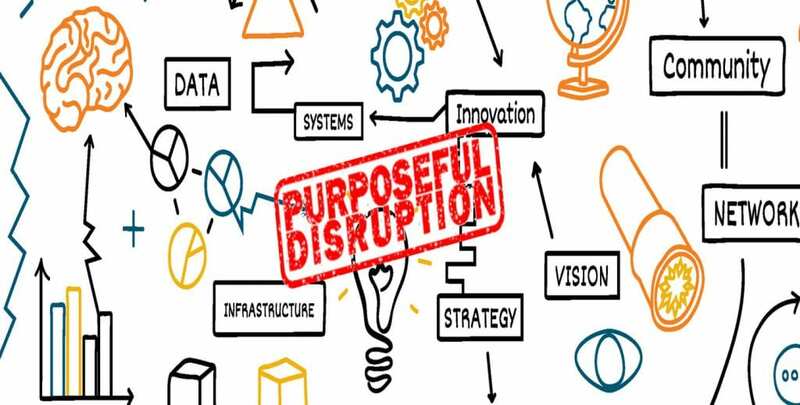 This year’s theme, Purposeful Disruption, will engage faculty, staff and executive leadership from more than 40 institutions on purposeful approaches to leveraging disruptions in higher education. Sponsored by the Lilly Endowment, Inc., with generous support from the Walmart Foundation for the Data Institute, the two-and-a-half day convening will feature keynote speakers from the higher education sector and beyond. Speakers will address the needs of the 21st Century workforce, large-scale change, and a rapidly changing, technologically-driven world. The Institute will feature three data session formats including Technology Boot Camps, Bring Your Own Data sessions and Work Without Borders sessions. The content-rich program, will bring together leading industry experts on data management and analytics to help institutions gain 1) a better understanding of how to effectively use data technology on their respective campuses; 2) knowledge on how to best execute data analysis projects and produce useful reports; and 3) tools to develop necessary relationships to facilitate cross-campus data sharing and communication. Presented by UNCF Career Pathways Initiative (CPI). Amelia Parnell is vice president for research and policy at NASPA – Student Affairs Administrators in Higher Education, where she directs the Research and Policy Institute (RPI), which links research, policy, and effective student affairs practice in support of student success. Prior to her arrival at NASPA, Amelia was director of research initiatives at the Association for Institutional Research (AIR), where she conducted two national studies related to future directions of the institutional research function. Her current research portfolio also includes studies on leadership attributes of college presidents and vice presidents, documenting and assessing co-curricular learning, and assessment and evaluation in student affairs. Amelia is co-editor of the forthcoming book, The Analytics Revolution. She is currently a member of the board of directors for IDEA, and an advisory committee member for Lumina Foundation’s Beyond Financial Aid toolkit. Amelia holds a Ph.D. in higher education from Florida State University and masters and bachelor’s degrees in business administration from Florida A&M University. Cheryl Hyman is a nationally recognized executive leader and expert on higher education and organizational transformation. As Chancellor of the City Colleges, she was responsible for managing a $700 million budget, overseeing 5,500 employees, and ensuring the success of more than 100,000 students annually. Appointed by Mayor Richard M. Daley in 2010 and reappointed by Mayor Rahm Emanuel a year later, Hyman led the Reinvention initiative of the City Colleges of Chicago in partnership with faculty, staff, students, four-year colleges and members of the civic and business communities to ensure that all CCC students successfully graduate ready for further college and careers. During her tenure, CCC’s graduation rate more than doubled and degrees awarded annually were the highest on record in the system’s history. She launched College to Careers, which partners faculty and staff with more than 150 industry leaders and universities to better prepare students for careers in fast-growing fields. Hyman oversaw a balanced budget each year of her tenure with no increase in taxes, saved $70 million, launched a $524 million capital plan, and negotiated student outcome goals into key labor agreements. Following her tenure as chancellor, Ms. Hyman authored Reinvention: The Promise and Challenge of Transforming a Community College System (Harvard Education Press, 2018). Before being appointed chancellor in April 2010, Hyman served as vice president of operations strategy and business intelligence at ComEd, an Exelon company. She joined ComEd in 1996 and held positions across the company during her 14-year career, including in the areas of information technology, transmission and distribution, community and economic development, and government and legislative affairs. Professor Terrell Strayhorn is Chief Executive Officer (CEO) of Do Good Work Educational Consulting, LLC, a research consulting firm devoted to improving higher education institutions and ensuring student success. He also serves as visiting faculty or consultant at several institutions including Walden University, LeMoyne-Owen College, and Hope Lab. Author of over 10 books and more than 200 publications, Strayhorn has been identified as one of the most prolific scholars in his field, “Top 20 to Know in Education,” “Forty under 40” by BusinessFirst magazine, and a leading diversity scholar. He specializes in conducting high-quality empirical research that’s translated directly to practice in ways that lead to curricular enhancement, process improvement, institutional transformation, and student success. He is a proud member of Alpha Phi Alpha (AФA) Fraternity, Inc., Kappa Delta Pi International Honor Society, and several other civic groups. Previously, he has served on the faculty and administration at the University of Tennessee, Knoxville (2005-10) and The Ohio State University (2010-17). Heather Hiles has founded six ventures since 1996: SFWorks, EARN, The Hiles Group, Pathbrite, Atribute, and Imminent Equity. Imminent Equity is a growth equity firm in the enterprise software space. Atribute is the only assessment platform built to empower learners. With Pathbrite, Heather holds the distinction among African American women founders of having raised the most venture capital, and having had the largest exit. Pathbrite is the first cloud-based and the largest digital portfolio platform in the market, serving more than five million college students. With more than 120,000 followers on her LinkedIn Influencer site, Heather is a thought leader in the areas of technology, talent development, employee actualization, and education. We have reserved a room block at the Westin Fort Lauderdale Beach. Deluxe rooms are available at a room rate of $139 per night + hotel fees and state tax (resort fees have been waived). Check-in is Monday, July 23, and check-out is Wednesday, July 25,. You may book up to three (3) additional nights on the front or back end of the scheduled convening dates at your expense. To book additional nights, just select the days you would like to stay when registering. Please Note: Unless otherwise notified, a credit card is required to finalize your registration and to guarantee each individual hotel reservation. The hotel will not charge your card until check-in. Please ensure your registration is complete no later than Monday, July 2, 2018 at 5:00 p.m. (EST). Click the link to make your hotel reservation: UNCF 3rd Annual Convening Registration; or call 800.937.8461 (reference UNCF when calling). For special rates and travel arrangements by type of attendee—including speakers—click on “Attendee Information” below. Visit the venue website for directions and information. Sponsorship opportunities are available. Contact Angela Van Croft, Angela.VanCroft@UNCF.org, 202.810.0167 for details.